This blog is a storage space for various thoughts, observations and musings centering on shōjo manga (少女漫画, Japanese comics for girls), josei-oriented manga (Japanese comics for women) and manga created by women (in the widest sense). Topics from other fields of relevance, such as music, art, literature and film may be discussed here as well. For the most part, Japanese names appear in their original order - surname first, followed by the given name. For more detailed information about this blog, please visit the about clb.org page. This blog is run by Dia. Please send any enquiries and comments this way. This blog was relaunched recently. Some elements might not be fully working yet while others might be completely missing at the moment but will be added soon. Thank you for your patience! 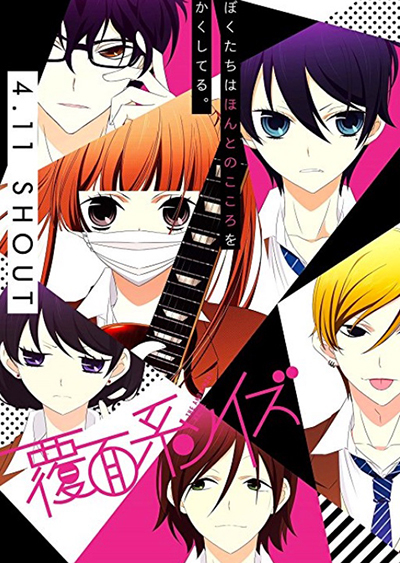 → The second week of April marks the start of an anime TV series based on Fukuyama Ryōko’s Fukumenkei Noise (Anonymous Noise). The series has been destined for the whole multi-platform treatment it will be getting (there’s also a movie coming out in November this year) from the start. Yes, it’s literally screaming for a form that goes beyond the printed medium and brings sound into the whole affair because it is about just that – sound, music! From April 11 on, which is the day the first episode airs in Japan, we can expect some pop punk noise accompanying the story of the love triangle between the girl Nino who turns into Alice, the lead singer of the massively hyped newcomer band in No hurry to shout (called Inohari by fans and the media), whose members wear bandages and eye-patches to hide their identities. Their guitarist and main songwriter Yuzu brings Nino into the band after Nino had inspired him to write songs for her back when they were kids and Nino had to overcome the fact that her first love Momo had suddenly moved away. Yuzu himself is still in love with Nino while Nino tries to find Momo through her voice but when she finally does, he rejects her. Momo is now a famous composer of pop songs, feeling guilty about making money with the songs he originally wrote for Nino for whom he still has feelings. He’s just in senior high, the same one Nino and Yuzu attend. And what makes the situtation even more complicated, he’s the bassist in band called SILENT BLACK KITTY who’s being criticized for being nothing but a copy band of Inohari. Fukumenkei Noise follows Nino and the two very different boys, Yuzu and Momo, and their bands all the way to the top of the pop music world. With the added element of ‘real’ music, the anime will hopefully express even more powerfully the youthful energy and passion of the manga, currently running in Hana to Yume. I can’t wait. And please note: a post for the manga is coming to this very space next week! 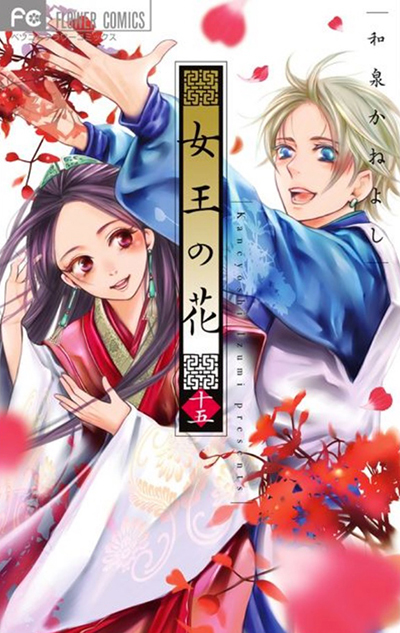 → The end of the month will bring readers the final chapter of Kuze Banko’s series Palace Meiji in Hakusensha’s Betsuhana (Bessatsu Hana to Yume), with its June issue in stores April 26. To commemorate the conclusion of the magazine’s number one title, Palace Meji will be getting the magazine’s cover, a color spread and a furoku fan book called “Palace no omoide” (literally “Memories of the Palace”) along with the last chapter. 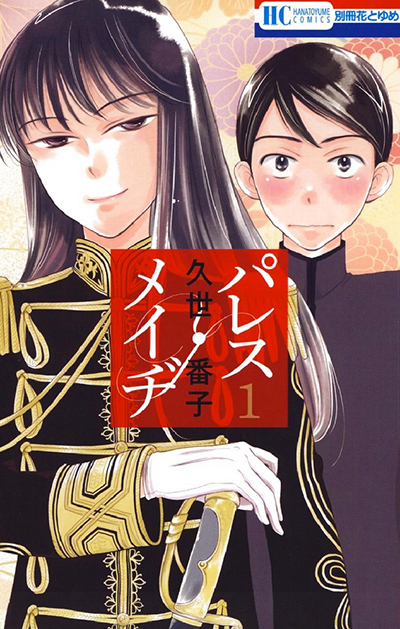 And I’m getting my tissues ready because I really enjoyed young hero Kimiyori’s years of training and working at Meiji Palace, serving the young, tough and beautiful (fictional) empress Akiko. 6 comic volumes filled with episodes of court life in alternative modern-meets-traditional Japan, subversions of gender roles and lots of action, human drama, warm humour and suspense have been published so far, already destined to become classic shōjo manga material. In related news, another long-running series, the romantic comedy Pochama ni by Hirama Kaname will come to an end in that same issue of Betsuhana. → Following up from this post and the publication of the final volume of Izumi Kaneyoshi’s Joō no hana, it’s only fair to say the fantasy romance series stuck out like a rainbow-colored swallowtail butterfly among the brownish grey moths usually running in Shogakukan’s Betsucomi. The publisher itself must have come to the same realization and transferred the artist to the place she rightfully belongs on its roster of shōjo magazines, that being Monthly flowers. Izumi’s new series of one-shots will start with its first story titled Suisō Yakyoku (let me see, Nocturne of the Water Tank? ), a whopping 60 pages including color pages plus the cover of the magazine, published in Gekkan flowers 6/2017 out on April 28. Looks like we’re back in the present day with a ‘it’s slightly complicated’ type of romantic comedy, judging from the short bit of description and the illustration of the two main characters on the flowers preview page. The current flowers issue (5/2017) celebrates the 20th anniversary of Watanabe Taeko’s Kaze hikaru along with a sticker calender furoku, the beginning of the final story arc of Tamura Yumi’s long-running post-apocalyptic action manga 7SEEDS (which I must admit has the ability to give me nightmares, that series is just not for the faint of heart), and the very last chapter of Kodama Yuki’s Tsukikage Baby, the follow-up to her hit series Sakamichi no Apollon (Kids on the Slope). My order with the limited edition of the final volume of Joō no hana with the memorial fan book isn’t here yet but I noticed it’s already sold out at most places and going for slightly crazy prices at amazon… See the cover for it, which wasn’t out when I wrote my post last month, on the top right! So this looks like a fun-packed month that is guaranteed to bring lots of material to shorten rainy spring days and long commutes to and from school/work! Categories: Anime, Manga, Manga News. Tags: anime news, decade: 2010s, keyword: alternative history, keyword: music, magazine: betsucomi, magazine: betsuhana (bessatsu hana to yume), magazine: flowers, magazine: hana to yume, manga news, mangaka: fukuyama ryouko, mangaka: kodama yuki, mangaka: kuze banko, mangaka: tamura yumi, publisher: hakusensha, publisher: shogakukan, title: fukumenkei noise (anonymous noise), title: joou no hana, title: palace meiji, type: shoujo manga. Posted on Apr 2, 2017 (Sun, 2:34 am). .
All rights reserved. No reposting of any written content without the permission of the author. Powered by WordPress. 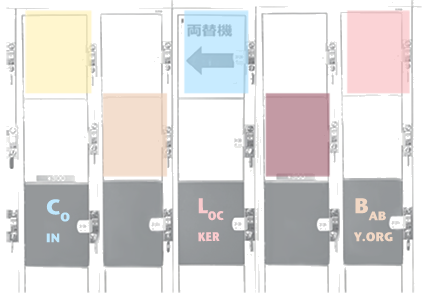 Design and Coin Locker Baby theme by Dia @ coinlockerbaby.org.